I need your help. For nearly a year now my husband has been living at Christ Church United Church of Christ in St. Louis. This time of year is especially hard for my kids who are used to seeing their father every day. My boys remember their dad taking them to Donut House every morning before dropping them off at school. But this year, Alex won't be there because our government won't let him come home. For years, my husband and I have tried to do everything we needed to do fix Alex's status. I am a United States citizen, as are all 5 of our kids, yet there is still no way for my family to reunite. My family has lived here in Poplar Bluff for generations. This is Alex's home and we need help to keep Alex here. We need Representative Jason Smith's help. He can reach out to immigration to find out how we can get Alex home. But his office says they don't hear their constituents demanding to keep my family together. His office clearly doesn't know Alex and doesn't know how much people in Poplar Bluff value him and love him. Please help us get Rep. Smith's attention by signing this petition asking him to look into my husband's case. Like many of you, school is starting for my boys on August 16th. We need Alex home so he can share those special doughnut-filled mornings with our kids. For every 12 people that sign this petition, my boys and I will deliver a dozen doughnuts to Rep. Smith's office. We want him to know just how big of an impact Alex has had on all of our lives. Please help us get the word out! Sign this petition and ask a friend to do the same. I need my husband home in Poplar Bluff; I need our family back together. Use the form below to send a message to Congressman Jason Smith telling him that Alex Garcia belongs with his family. For every dozen messages, we’ll send Smith a dozen donuts! Dear Representative Smith: As your constituent, I am writing to urge you to do everything you can to stop Alex Garcia's deportation (A# 078-176-440). Alex is a hard working and respected member of our community. He has five U.S. citizen children who deserve to have their father at home. Right now, Alex's U.S. citizen wife, Carly, is left to care for the children alone; our community is stronger with Alex home with his family. Alex belongs with us in Poplar Bluff, we all stand by him and hope you can support him. Please help us bring him home! Thank you! Your message has been sent. 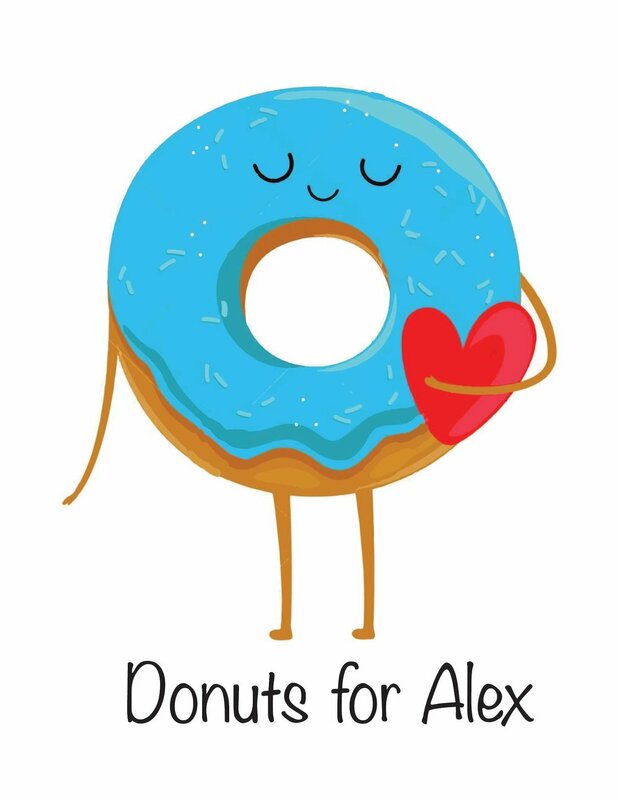 Please be sure to follow @AlexBelongsHere on Facebook for donut delivery updates and more! If you live outside of Congressman Smith’s district but want to support these efforts, please click here to sponsor donuts.